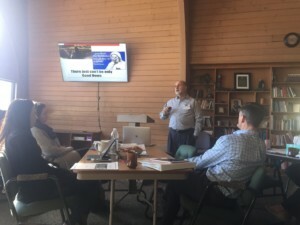 Participants of the second cohort of the Brother John Johnston Institute of Contemporary Lasallian Practice gathered for three days by District over the course of three weekends in March. 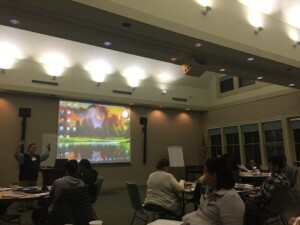 This was a District-centric session, in that each District provided the faculty to engage the participants on the topics of best practices in evangelization and catechesis and had two sessions focusing on the structure, processes and governance as they pertain to the relationship between each District, the Region and finally the Institute. Carol Soltys, academic dean at The San Miguel School of Providence in Rhode Island, attended the District of Eastern North America (DENA) session, which occurred March 15-17, in Pocono Manor, Pennsylvania. 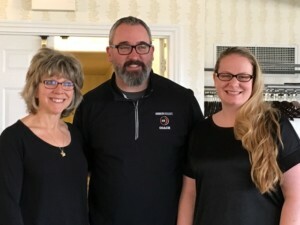 Lisa Moran, world language department chair and Spanish teacher at La Salle Catholic College Preparatory in Milwaukie, Oregon, was among the District of San Francisco New Orleans group, which met in Loranger, Louisiana, March 8-10. The Midwest District gathering was held in Marine on St. Croix, Minnesota, March 22-24. The District groups will gather as a Regional group at Lewis University in Romeoville, Illinois, July 9-13, 2018.